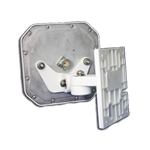 Designed specifically for the Laird / RFMax Mini Far Field Antenna, this antenna bracket is provides a wide range of articulation and flexibility in both the azimuth and elevation planes, and ships with both wall and pole / mast mounting hardware. 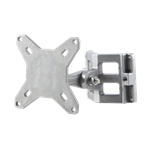 The HDMNT-100MM is a heavy duty die-cast aluminum mounting bracket that articulates in both the vertical and horizontal plane. 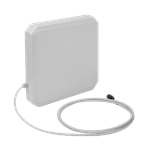 It is designed to hold any device that utilizes a 100mm VESA mounting pattern, and a 63.5 mm pattern for RFID antennas. 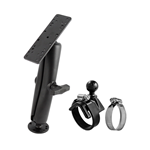 Mounting kit includes all of the hardware that you will need to mount directly to a wall or to a pole/mast. 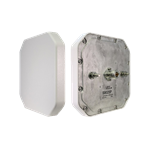 The Laird / RFMAX HDMNT is a die cast aluminum mounting bracket for the RFID panel antennas with 4 threaded mounting studs. 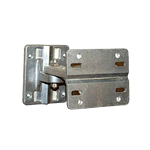 Fully articulating in both the vertical and horizontal planes, then LOCKS in place with hex nuts and bolts, with both Wall and Pole Mounting options.